If you try to intertwine two people full of insecurities, selfishness, and pride with a deep hunger and desire for ‘love’ and purpose, you will have a shallow relationship that will never fulfill. Billy and I know this first hand. Little did we know in 2009 we would experience a LOVE that would change us from the inside out. This love was not from one another, but from God. In 2009 God breathed His Spirit into our lives and marriage and we began an adventurous journey with God that has brought us into a deeper love with Him and one another. We are learning marriage is not about us, it’s about God. Marriage is a picture of Jesus Christ and the love and fellowship He has with His Bride (the Church). We are learning God unites us together in a covenant relationship with Him as One. We are learning walking down the aisle to the altar doesn’t end on your wedding day but it is a daily walk to God’s altar as you offer yourself to Him as a living and holy sacrifice. We are learning the most intimate experience we can have with one another is prayer at God’s throne of grace and waiting, watching, and rejoicing in His answers. Our hope is not having a perfect marriage, or a life without trials and pain, but our hope is in Christ alone, we know from experience we cannot do this without Him. We had 10 years of marriage without consulting or seeking God’s kingdom and it was very difficult to love apart from God. But God is the Wonderful Counselor and Healer of all. 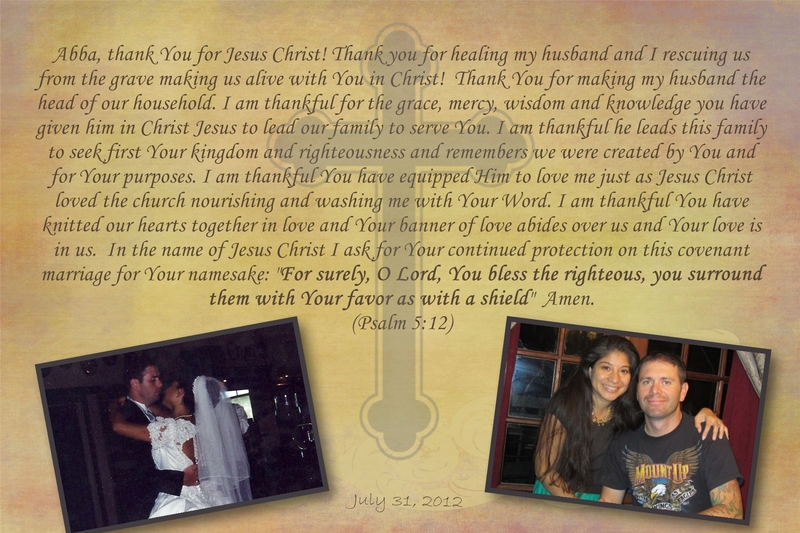 Just as we are made alive to God in Christ Jesus, so our marriage is alive in Christ Jesus for His purposes. God has made us righteous through faith in Jesus Christ, and that is how we are able to live by faith. This is His marriage and we rejoice and give glory and honor to God. it is the HOLY SPIRIT Who convicts, teaches and guides us on the paths of righteousness, for His Namesake. To. God. Be. The. Glory. Give thanks to the Lord for He is good for His lovingkindness is everlasting! 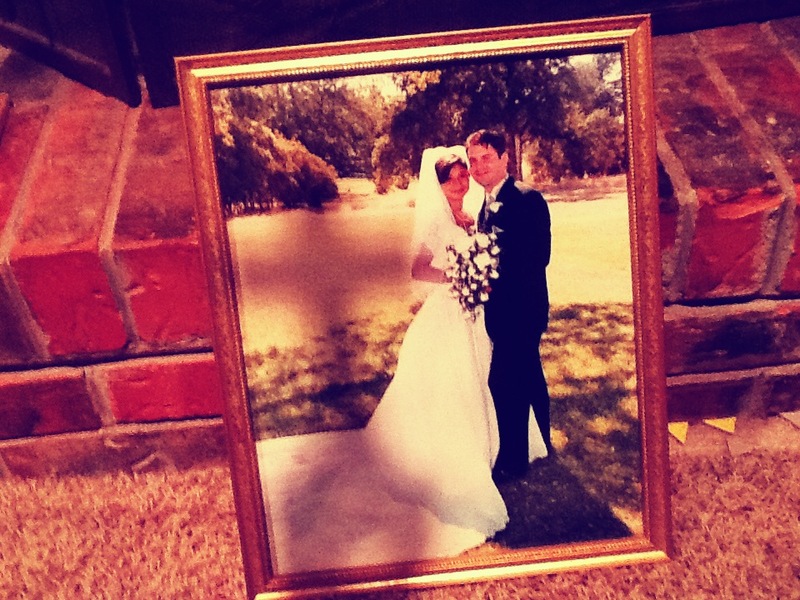 Today your Daddy and I praise God for the grace and mercy He has bestowed upon our marriage of 13 years for His Namesake. Even beyond our newlywed years there were many things I didn’t understand about love and marriage and it wasn’t until the summer of 2009 when your Daddy and I became ‘one flesh’ that I began to understand. The moment your Daddy took a stand to lead our family to live by faith. Five months later God moved us to Alabama. 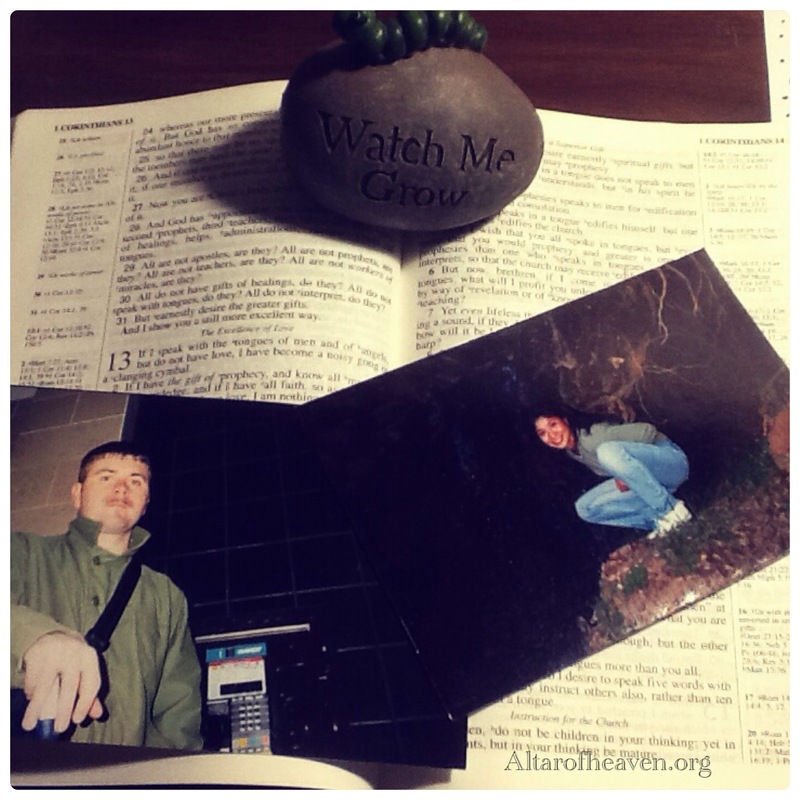 We can see now God was performing His Word in Habakkuk these past three years because we have been given many opportunities to live by our faith and trust in God: an overwhelming amount of debt, a drastic reduction in income, a call to home school, two car wrecks (one nearly fatal), pending foreclosure of a house and unemployment. In these fiery ordeals we continued to lift our hands praising and blessing God and God responded as He said He would! In just three years God has paid our financial debt, is teaching us to be content in all circumstances, is empowering us to disciple you, rescued Daddy and a friend from physical death, helped avoid foreclosure and sell the home, and provided a full time ministry for Daddy!! Today Daddy has a ministry not a ‘career’–as Daddy follows Jesus he has the privilege to ‘feed the homeless’ not just food that perishes but the imperishable food–God’s Word. Daddy is making disciples and is entrusting God’s word to faithful men who will be able to teach others also. We are overwhelmed by God’s grace and mercy. God paid the debt of sin for sending His only Son Jesus Christ to die on the cross in our place and now He has paid our financial debt. And just as God rescued Daddy and his friend from physical death from the car wreck, by God’s grace and peace we have been rescued from spiritual death by the Lord Jesus Christ who gave Himself for our sins. I am in awe of God! Not just for what He has done, but for Who He is. God is faithful, truthful, compassionate, abounding in lovingkindness, and righteous. Sweet children, it is so important for you to know your Daddy and I are able to rejoice in 13 years of marriage not because we are perfect and good people—in fact God’s Word, the Bible tells us all have sinned and fall short of the glory of God and there is no one good not even one. We are able to celebrate this day because of the grace of God. It is God who drew us to Himself and we did not harden our hearts when we heard His voice but fell in love with Him realizing He first loved us. God’s love and Holy Spirit empowers us to love one another the way He has commanded us to love. Daddy is my closest neighbor and I love Him as myself, and He loves me as Himself. Our hope is not having a perfect marriage, or a life without trials and pain, but our hope in Christ alone, we know from experience we cannot do this without Him. 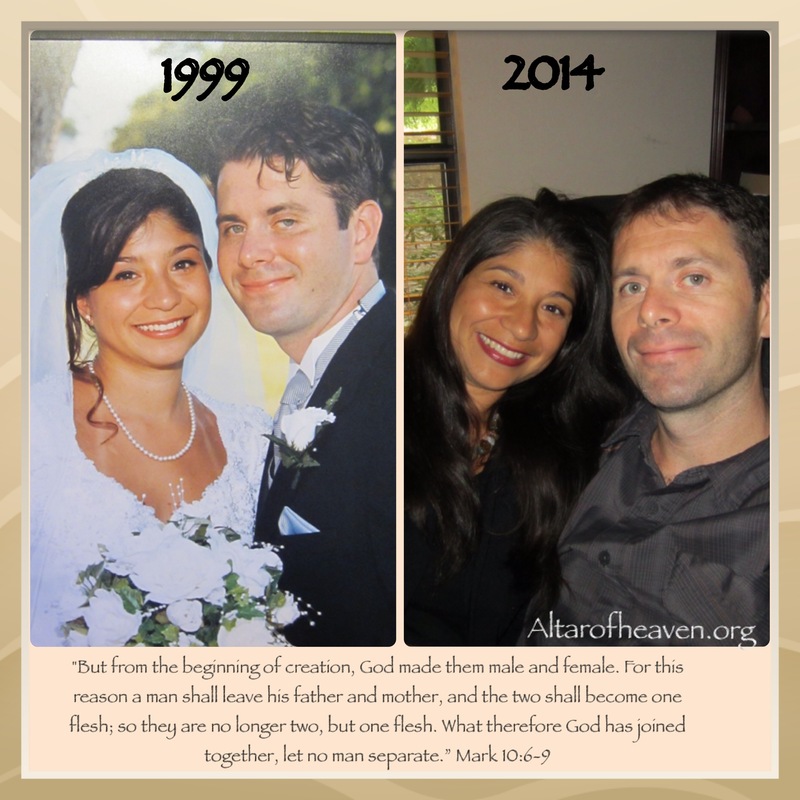 We had 10 years of marriage without consulting or seeking God’s kingdom and it was very difficult to love apart from God…we even separated at one time. But God is the wonderful counselor and healer of all. Just as we are made alive to God in Christ Jesus, so our marriage is alive in Christ Jesus for His purposes. God has made us righteous through faith in Jesus Christ, and that is how we are able to live by faith—to God be the glory! My spirit can testify how I love Jesus Christ and I have a passion for Him that burns like fire within me, His purposes are my heart’s desire. I love your Daddy too. I love your Daddy more this moment then ever in my entire life. What I’m realizing is the more God continues to conform Daddy and I into the image of Jesus Christ my love for your Daddy grows because it is Jesus Christ in Him that unites us as One just as Jesus prayed, enabling me to love ‘my neighbor as myself.’ God’s banner of love abides over us and our lips shout for joy singing praises to God! Children of my vow, I pray for the day God will claim you as His own and you will enter into a covenant with Him–the the One True God. I pray this not so you can have a wife or husband, or a ‘good life’ but so You will know Him for yourselves and You will serve Him and seek first His kingdom and righteousness all the days He ordains for you. I love you both.